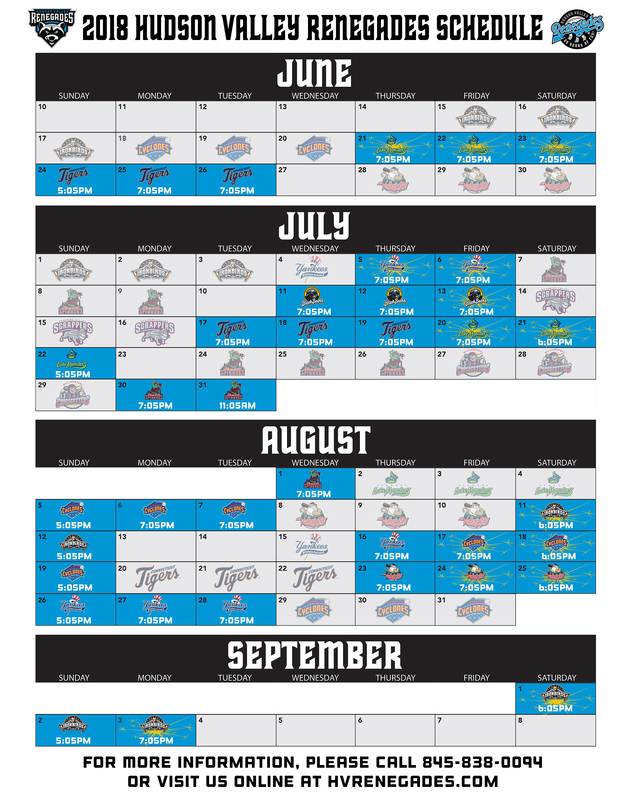 The Hudson Valley Renegades, Class A Affiliate of the Tampa Bay Rays, have released the teams schedule for the upcoming 2018 season at Dutchess Stadium. Home of the 2017 New York Penn League Champions! Come celebrate the 25th season of Renegades Baseball at Dutchess Stadium! Between themed nights, firework shows, and giveaways, the Renegades offer something for everyone. Season tickets and mini plans are available at the Renegades Box Office. The Renegades offer a variety of birthday party packages, picnics, luxury suites, and of course, individual game seats.